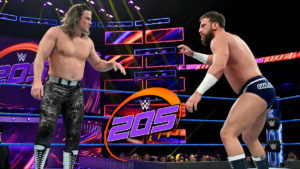 Mike Kanellis attempts to prove a point against Kalisto, and Akira Tozawa battles Hideo Itami in a good episode of 205 Live. The first two challengers for the fatal four way Cruiserweight Title match at Royal Rumble are determined when Kalisto faces Lio Rush and Akira Tozawa takes on Drew Gulak. 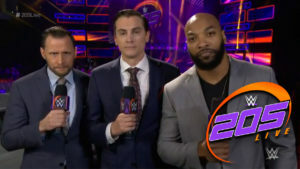 Vic Joseph, Nigel McGuinness, and Percy Watson share the top moments of 205 Live in 2018. With their title match coming up this weekend, Buddy Murphy and Cedric Alexander each have singles matches against opponents chosen by Drake Maverick. 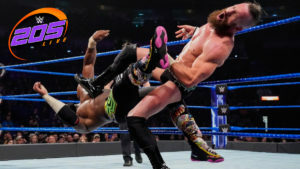 Cedric Alexander teams with Mustafa Ali to take on Buddy Murphy and Tony Nese is a good main event on an entertaining episode of 205 Live.